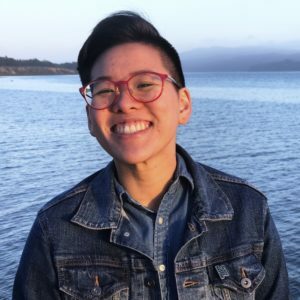 Cathy is a second-generation Cantonese / East Asian American tenderqueer born and raised in New Jersey. 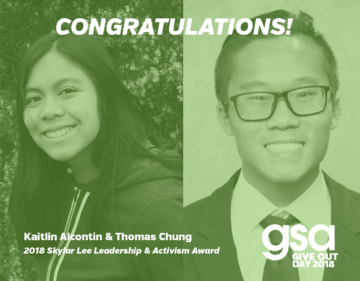 They started GSA organizing in 2011 and helped to launch the DC Regional GSA Network as an initiative of SMYAL (Supporting and Mentoring Youth Advocates and Leaders). In 2015, Cathy joined GSA Network as the Southern CA Regional Manager. In their current role, they support and oversee the three GSA Network of California organizing offices in Oakland, Fresno, and Los Angeles. As someone who didn’t know how to fit into Cantonese community as a young queer person, Cathy proudly believes in the revolutionary vision of GSA Network’s youth leaders who are fighting for racial, gender, and economic justice and embracing the intersections. Cathy’s approach to organizing draws from their experiences as a GSA member in high school, advocating for equitable resources for LGBTQ+ students and ethnic studies in college, trans & queer API community building, supporting youth-led media for immigrant justice, grassroots organizing with Chinatown residents for housing justice, finding their voice as a survivor of child sexual abuse, and taking action with Asian Americans + other folks with wealth and class privilege towards the redistribution of wealth, land, and power. Cathy holds a B.A. from Wellesley College in Women’s and Gender Studies and an M.A. in Education from UCLA, where they focused on youth resistance research and race and ethnic studies in education. In their spare time, they are a proud home cook, aspiring karaoke jockey, and board game aficionado.